Percy Jackson Quote. . 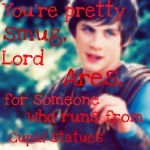 Images in the Percy Jackson Series club tagged: percy icon quote. This Percy Jackson Series icon contains anime, komik, manga, and kartun.